Watermelon has made my summer! 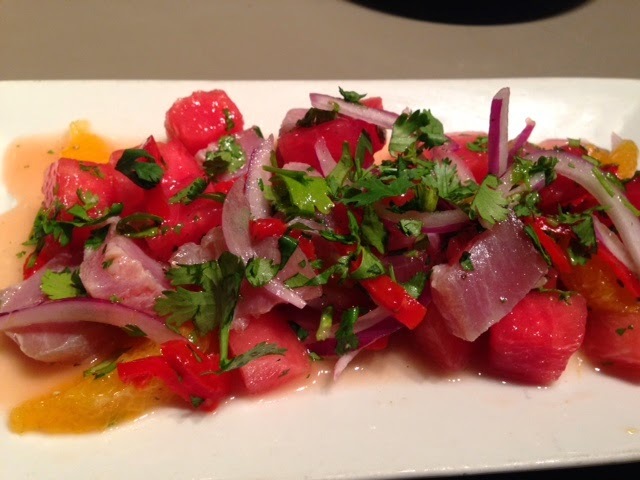 Try this Tuna Ceviche with watermelon from Nage. Marinate tuna slices in lime juices and salt for 3 mins. Add remaining ingredients. Add more salt if necessary and garnish with chopped cilantro.